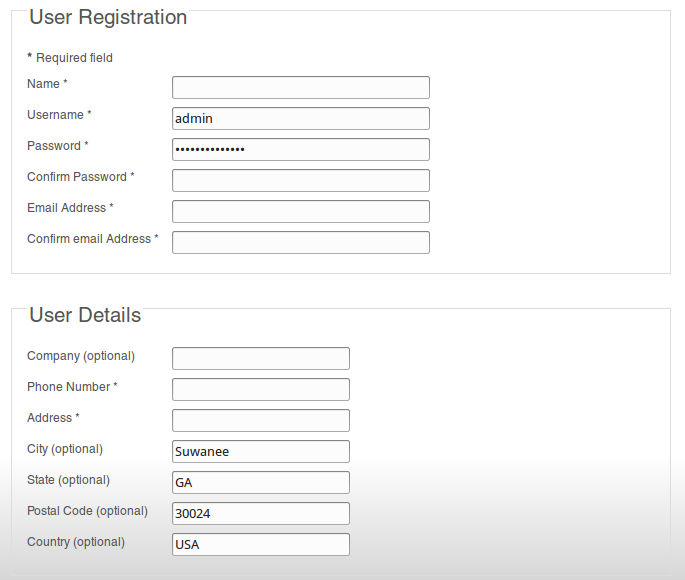 The website requires administrator approval of users but I need the email to the admin to contain not just the name and email address of the new user but also all the other details in the login form. How do I make the auto-email send all these details? Where do I look? COM_USERS_EMAIL_REGISTERED_NOTIFICATION_TO_ADMIN_BODY="Hello administrator, \n\nA new user '%s', username '%s', has registered at %s." first $s is $data['name'], second $s is $data['username'], etc. COM_USERS_EMAIL_REGISTERED_NOTIFICATION_TO_ADMIN_BODY="Hello administrator, \n\nA new user '%s', username '%s', has registered at %s with password:%s." Or write custom $emailBodyAdmin field by field. Not the answer you're looking for? Browse other questions tagged administrator emails registration or ask your own question.